Warm weather is in and the perfect accessory is a sweet cold treat clutch to your right and a walking buddy to your left. 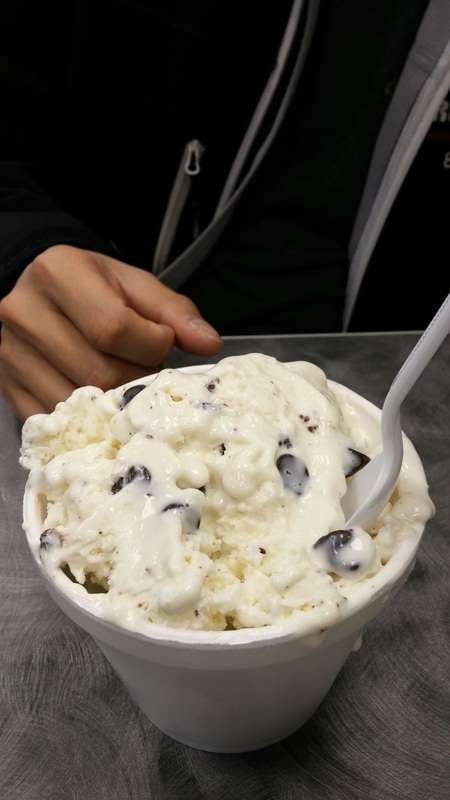 You can head straight to the back of the already long line at Dairy Kastle for a cheap no frill treat, to the more sophisticated Comfy Cow for local homemade ice cream or to the Arctic Scoop for something entirely different. If you haven’t heard of Arctic Scoop or been to it, you’re in for a treat. 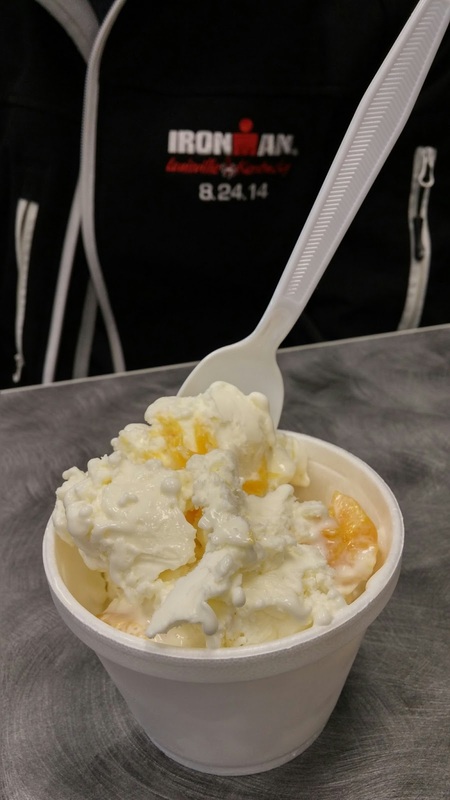 What sets the Artcic Scoop apart is that the ice cream is made fresh right in front you. One minute it’s in its liquid form, a splash of liquid nitrogen later and it becomes freshly made ice cream right before your eyes. 2) Choose a flavor or combine the long list of flavors listed. 3) Choose your mix ins, these are things like fresh fruits, brownies, etc. I believe you can choose up to 4. 4) Pay and watch one of the staff turn liquid into ice cream. 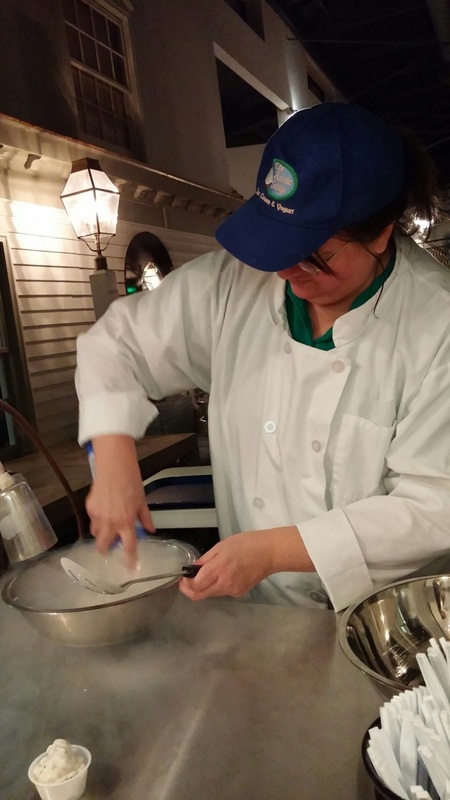 The ice cream that comes out is fresh, smooth and made especially for you. With so many flavors, the possibilities are endless and it’s so fun to see the smoke coming out of every creation. I suggest skipping the soy milk base as the ice cream comes out icy and bland. The store also offers smoothies, floats and desserts. Want to make this place just a tad sweeter? Pinpoint Perks currently has 3 different coupons, a free waffle cones ($1 value), $3 off any $10 purchase (Monday – Thursday), $1 off any $10 purchase (Friday - Sunday). I went last Saturday and the owner just asked to see it on my phone. 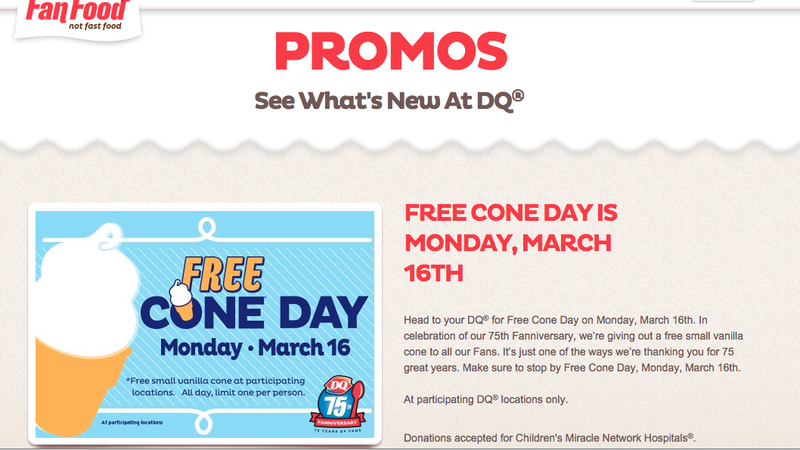 I also got $3 off even though it’s not a weekday. Two small scoops ($4.89/each) will only get you to $9.78 (they don’t count if you add the taxes). Upgrade to a large ($5.89) and basically you get that upgrade for free with the coupon. Artic Scoop is in the same shopping center as Barnes and Noble. Stroll through the aisles of this book store and unplug for a while. I find simple joy in actually holding a book in my hands, rummaging through pre-cell phone activities like board games and crafts, and reminding myself that there is still a world out there beyond the internet. I suggest parking your car at Mid-City Mall, grab your free ice cream at the Dairy Queen nearby and take a nice stroll down Bardstown Road. Thanks to A.W. for this great deal! 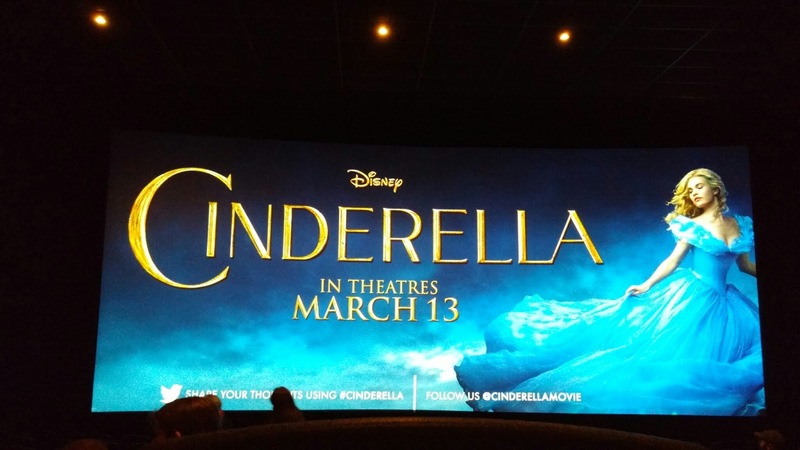 Thanks to a lovely friend, we got two free tickets to a screening of Disney’s Cinderella earlier in the week, 7 days before the actual release date. It was a nice weekday surprise and I must admit, it felt pretty cool to see a movie before everyone else does, for FREE. Studios will occasional do free screenings of selected movies in selected cities to generate public interest and allow the local press to see it first. That means you'll get to see movies before they're open to the public, if you know where to look. 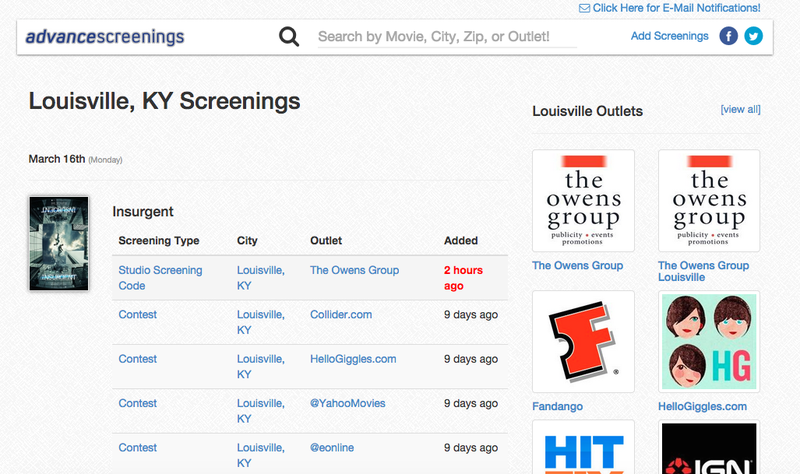 Sign up for a free account at these sites to get email alerts when free screenings become available. They usually have links or instructions on how to get the free tickets. The free tickets can be claimed at the site itself or it might take you directly to the movie studio's site (like Lionsgate) where you have to sign up again. Once you claim your tickets, print, bring it to the movies, and enjoy! Tickets go really quickly so get on it quick. If you didn't get it, you can sign up to be on the wait list or you can also enter several sweepstakes for a chance to win tickets. https://lionsgatescreenings.com/ - They do a lot of screenings in Louisville. Sign up to get their emails. It's first come first serve. It's usually overbooked so you might not be guaranteed a seat. Most screenings are on weeknights, around 7 p.m.